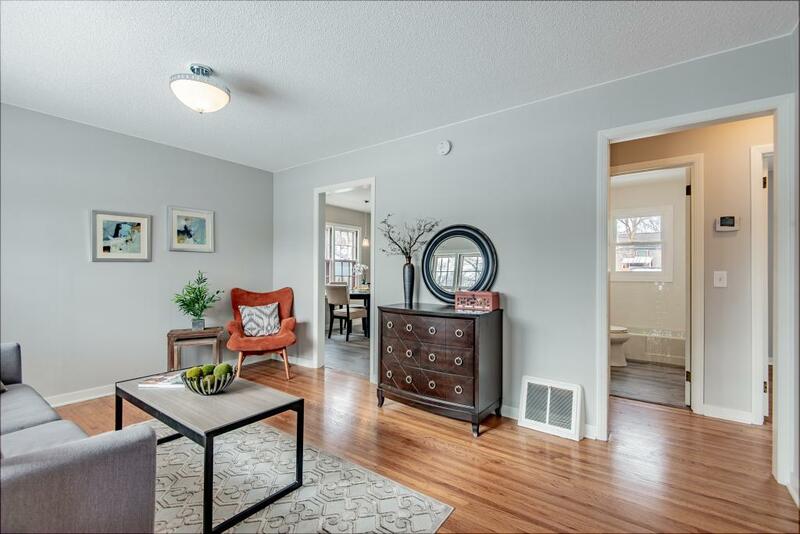 Charming 1.5 story home in Northeast Minneapolis! Lovingly remodeled inside and out. This impressive home boasts tons of natural light and character. Chefs kitchen w/granite counter top/SS appliances/bright white cabinetry/luxury vinyl planks/lustrous hardwood floors. 400 sq ft Owners suite, spa like master bath w/custom tile. New HVAC system, new water heater, New spray foam insulation in the roof and some new windows. Over 600 sq ft of unfinished basement awaits your creative ideas. Fabulous location, in the Waite Park Neighborhood, across the street from the community garden. Directions - Johnson to 36th, west 1 block to Lincoln, south to home.